When Vicky and Ralph moved to Fairfax County VA due to Vicky’s military job, they moved into a nice home for their family. During the school year, they realized that another elementary school was better suited for their needs than the one their kids currently attended. 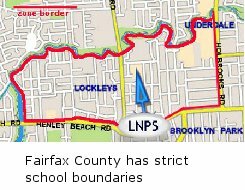 But their current home was outside of their desired Fairfax school boundary. A school boundary (sometimes referred to as a school district) is a geographic representation of a school’s attendance area. In Fairfax County VA, every residential address is assigned an elementary, middle and high school. In this manner, all the home addresses which are assigned to a specific school are within that school’s boundary. 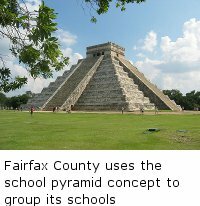 In Fairfax County VA, the school boundaries are strictly enforced, which is why choosing the right place to live is important.